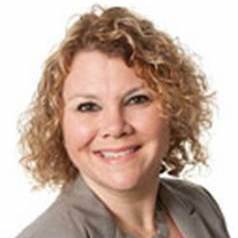 Jennifer Mize leads the Process Safety Design group in Eastman Chemical Company's Worldwide Engineering and Construction organization. She currently serves as the director of the Safety and Health Division and international chair of the 34th Center for Chemical Process Safety (CCPS) International Conference. We recently caught up with Jennifer to find out what we can expect during the symposium. What is your background in process safety? I have spent my 22-year career at Eastman in process safety, doing relief design, process hazard analysis, and LOPA. In my current role, I lead a team of process safety professionals who provide engineering support for our global manufacturing sites. Can you tell us about the themes, featured sessions, and speakers for your symposia? The CCPS symposia focus on identifying emerging process safety issues and advancing leading process safety management issues. This year's conference highlights best practices for the challenges that process safety professionals face in managing all aspects of process safety. Leadership challenges in process safety inspired the content for two sessions: "Organizational and Leadership Issues in Process Safety" and "How to Be the Bad Guy: Courageous Process Safety Leadership." Existing and aging facilities present their own unique challenges as will be discussed in our session "Process Safety Management Challenges with Infrastructure and Facility Siting," while the design and construction of new facilities presents the process safety professional with plenty of "options" as featured in our session "Good, Fast, Cheap – Pick 2: PSM Challenges in Capital Projects." Significant engineering resources are expended in the design, installation, and maintenance of safety systems, including relief devices and safety instrumented systems. Our session "Are You Sure Those Protection Layers Work?" addresses the need to ensure that safety systems are as reliable as we think they are so that they can provide the expected risk reduction. Achieving and maintaining excellent performance in process safety will be discussed in our session "Using Process Safety Metrics and Data to Drive Improvement" and our two sessions on "Achieving Success in Process Safety, Beyond Compliance." And finally, as learning from incidents is a vital part of a risk-based process safety program, we have included a session on how to "Extract the Most Value from Your Incident Investigations." Our speakers represent a variety of process safety careers, coming from operating companies, consultancies, and the U.S. Chemical Safety Board. What information are you hoping attendees walk away with? I hope attendees walk away from this CCPS Conference with new ideas, innovative solutions, and practical advice for facing their process safety challenges. I hope they are inspired to apply the information they have learned and to share their ideas by submitting an abstract to the CCPS Conference in 2020. Learn more about the 2019 Global Congress on Process Safety.